A new report has been released today by the Cruise Lines International Association (CLIA) UK & Ireland which includes new figures on the state of the cruise industry in the UK and Europe. According to the report the cruise industry in the UK grew sharply in 2013 along with supporting jobs. The growth has help benefit the UK economy as a result which includes goods and services that’s the cruise lines have invested in. Also cruise industry employees have increased by 6.5% which also has a knock on effect in UK cruise ports. Not just the UK but all of Europe combined grew by 4.7% from direct cruise industry contribution in 2013. According to the report Italy and the UK are top beneficiaries. In Europe the UK remains the biggest cruise market at 27.2% share of passengers and 1.72 million British passengers cruised in 2013 which is a 25,000 increase from 2012. This may have been helped by one of Europe’s busiest cruise ports Southampton which is the home port to large cruise ships from Cunard Line, P&O Cruises and Royal Caribbean. The report also states that 6.36 million people cruised in Europe in 2013 and all together there were 21.3 Million cruisers. Cruise Hive expects that figure will increase dramatically with the larger cruise ships planned for the future. 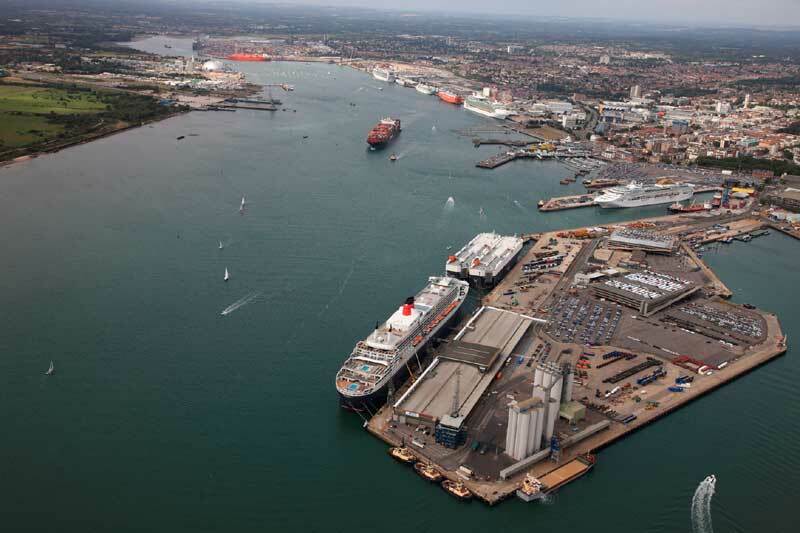 Southampton in particular is still Europe’s top cruise port and according to local news outlet the Daily Echo the city handles 1.64 million passengers a year. The future growth for the UK looks extremely good with large cruise ships like the 167,800 ton Anthem of the Seas and the 141,000 ton P&O Britannia both to be sailing from the UK in 2015.